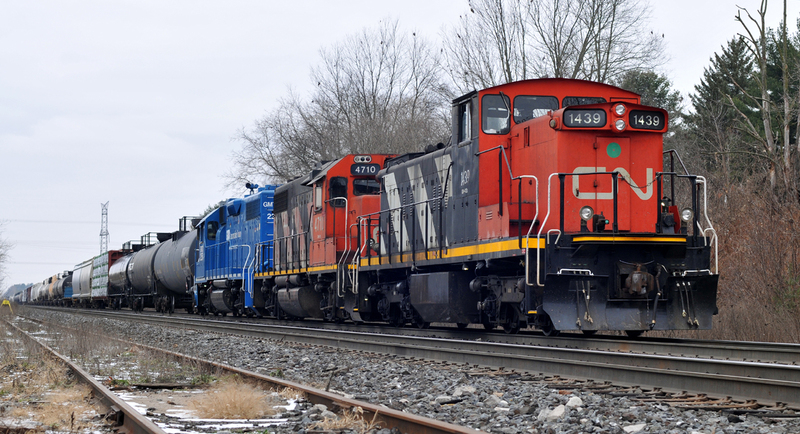 Railpictures.ca - James Gardiner Photo: With GMTX 2254, CN 4710, and CN 1439, L55031 29 gives a helping hand for M385 up to Copetown West | Railpictures.ca – Canadian Railway Photography – photographie ferroviaire Canadienne. HAHA, I don’t miss stalling on Copetown Hill at all!! Love the GMD-1 in 2018! !